This book describes and illustrates 31 of the most common types of defects in metal castings, then cites causes and cures. Defects examined include dross segregations; cuts or washes; inclusions; erosion scabs; expansion defects; gas defects; hard spots, chilled spots; hot tears; mass hardness; metal penetration; misruns and cold shuts; runouts and bleeders; to name a few. 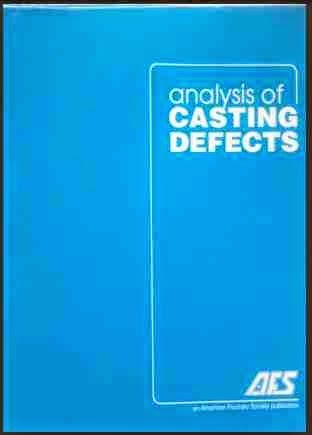 This is book contain very powerful information about casting defects.it will more helpful for students of mechanical engineering and for those who pursuing masters/PH-D in casting technology. 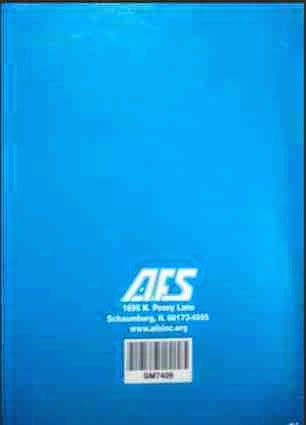 The book has been written by American Foundry Society, so all the parameter or information is standard and applicable to almost all casting materials. In this book all the causes of casting defects and the remedies were beautifully covered with practical example with help of Images. Thanks for sharing analysis of casing defect. this book is not available anywhere over internet.Thank you. Great! this is nice book. Thank you. !